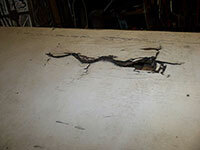 Graham takes delivery of a very sorry looking Khaggavisanna, dis-use and storage had taken their toll. 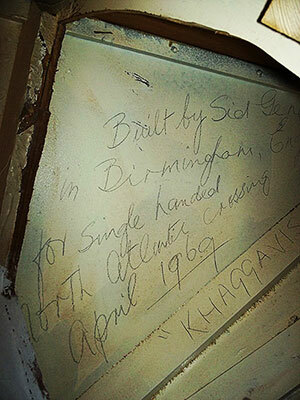 After stripping away part of the decking Graham discovers something written by the man himself 46 years ago. 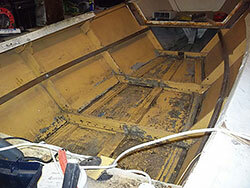 The bilges were exposed, cleaned out, and strenghtened with epoxy then compartmentalised ready for storing supplies. 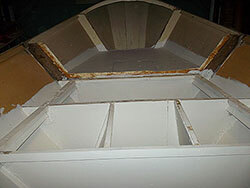 For and aft enclosures were built, the bow for storage and the aft for accommodation and electrics. 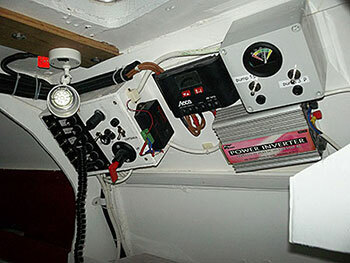 Picture show's part of the electrical installation fitted by Graham,s friend Phil Marshall.